By Perla, February 16, 2015 in Cigars Discussion Forum "the water hole"
Was looking for a cigar shop close to my vacation destination and end up on a side where people are selling there Coh. Esplendidos fresh from Cuba. Oh yes great reading, lousy pictures and bold prizes. On page 3 my interest awoke. 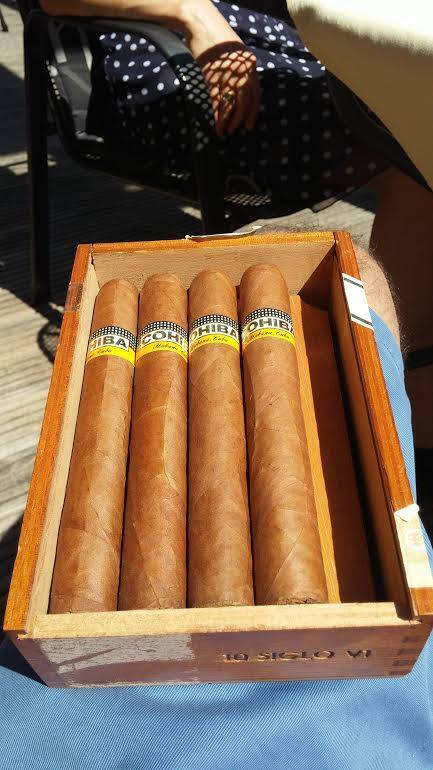 A box of Cohiba IV in a box of ten ! Checked the seal and the tax band on the pics. Looked legit. Out of my mood I just send out an email for further questions. Answer was very straight: box had been probably for years outside of a locker. ****, but what do I expect? Flowers and a red carpet? Got myself into a retreat. This could be interesting, let's say a challenge or something very very stupid. So we considered the prize and a few days later the box came. Must confess I was very excited as the box was sealed. I was very relieved with what I saw, could had been everything in the box. 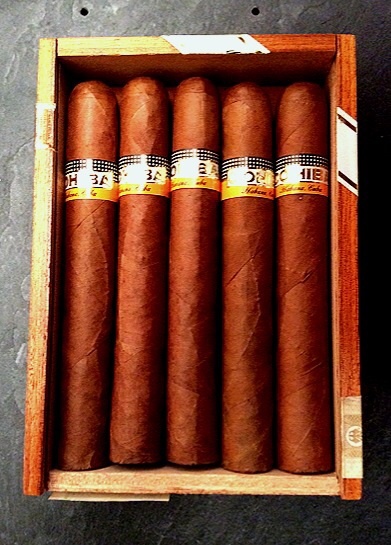 And yes the cigars had been super dry, but I was very surprised about the lovely flowerish smell coming out of the box. As I have no experience at all in putting "new life" into the box any help/suggestion is highly appreciated. So far the box is in a ziplock with a boveda 62 rh on it own. 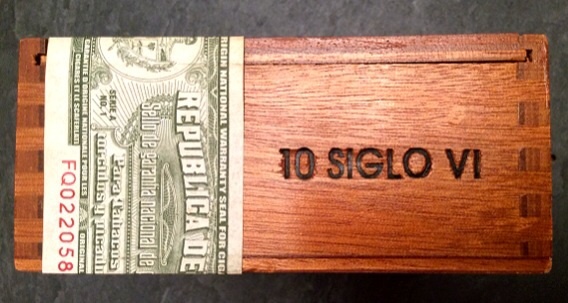 In maybe 2 weeks a boveda 69 will be in and in a month the Siglo IV will be stashed between my regular stash. Would this do? 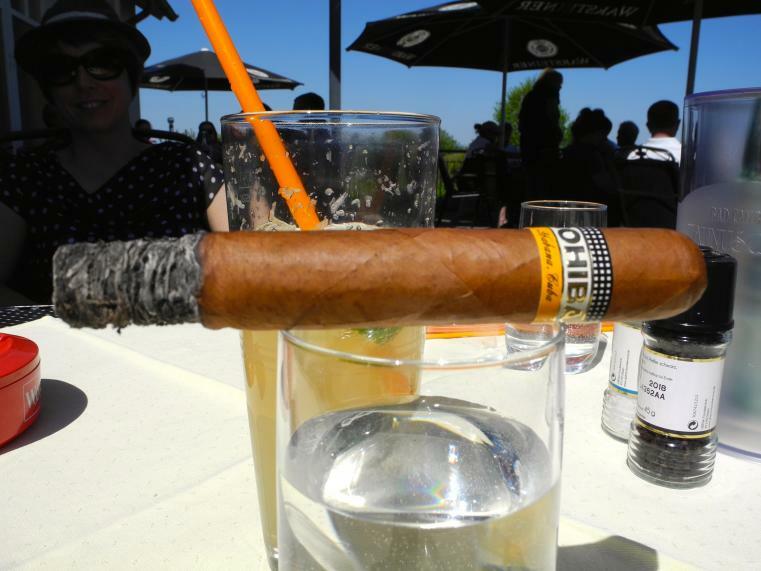 Hopefully first try of the Siglo will be in this summer 2015. Should be interesting to find out. I just bought a box of IV's with a box code of '02. Same thing as my box. Was left out and not humidified very well. I've put mine in my cabinet, and am just rotating the cigars in the original box for a few months to see if any life comes back in! Have read many times on forum that oils and such will never come back (obviously) but who knows what they will be like. Had to take a flyer and try. 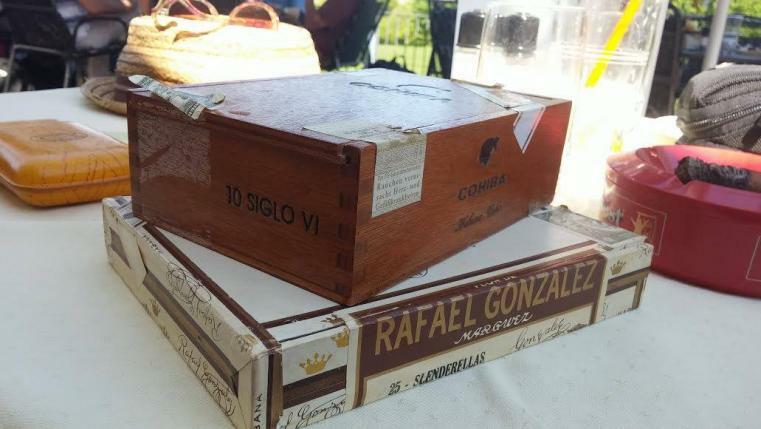 Thats a box of Siglo VI, not IV. How do they feel? More importantly, how do they smell? Sorry mixed up IV with VI. Must be my blonde gene. Surprisingly they do smell good. Will say a lot of life is still there. 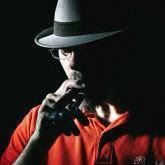 Was taken out a cigar, it feel dry but not the crunchy dry feeling. Hard to describe. 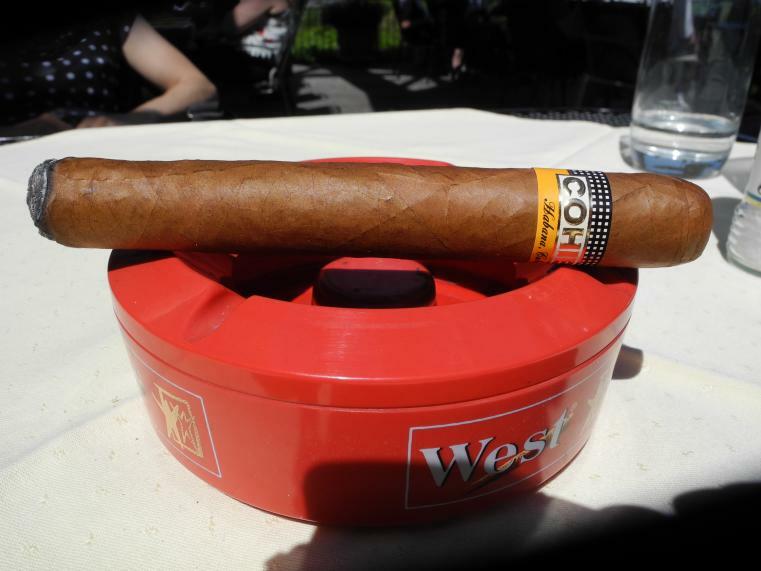 Did you buy it in a German vendor and it was outside an humidor? Or your are not in Germany? From a private person in Germany. And they had bee "lying" around in a storage room. I think your satisfaction will all depend on what your hopes are. If you look at this like a fun experiment and don't worry too much about how much money you spent, it may be a a good learning lesson. I think you're going about reviving them the correct way. A year or so ago I, along with apparently several other FOH members, received a box that had long been "lost" for several months, clearly outside of the proper storage conditions. They were dry but not to the point that I would consider throwing them out. 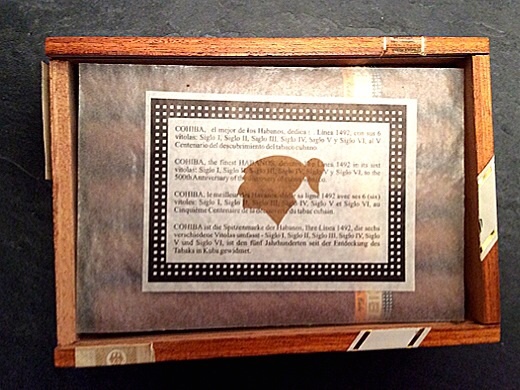 I placed this box in my 60-63% coolidor with the hope that some life will come back them. I've not tried any yet, but will once Spring is here. I don't expect them to smoke like cigars that were always in the perfect environment, but if they do, I'll be pleasantly surprised! Try to rejuvenate them and see what happens,good luck.It might take a few month. Should be fun, Ute, keep us in the loop! You're looking at an 8 month to a year turnaround to revive those sticks. The key is to raise the RH slowly over time. Maybe start at 50RH and every month try to get another 3-5RH extra. If you do it too soon, you'll puff out the feet. If it were me, I'd do the following. Grab a small, airtight tupperware container. Some humidfier unit. You'll have to tune it to get the right RH level you want to start with. Then add a bit more water every month to raise it and stabilize it again. (FYI, once you've safely hit the 60rh level you should consider small Boveda packs to continue. One each of the 62/65/69 RH packs. Space out the cigars as much as possible. Make the hygrometer visible through the container. You'll want to check every week to see if the RH you set is stable. 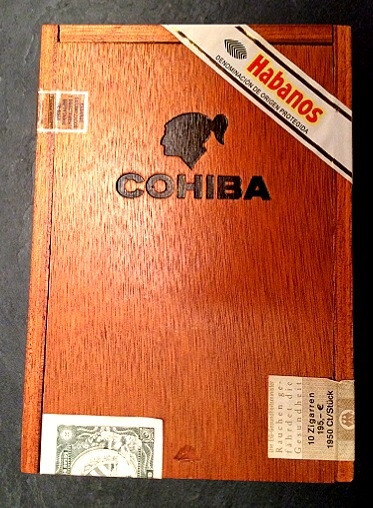 Once you hit the 66-70RH range and the cigars feel "right" you can reintroduce them to your main humidor. Patience is a virtue in this exercise. The lovely flowerish smell is at least a sign of life and potential to restore the cigars. One thing though, how were the wrappers when you opened the box? Also a quite pleasant surprise. Lets describe it like that - very waxed and slightly oily. Its just an experience. My only hope is that they could be smokeable in may be 1 year. Haven't spend much money on it, was a really bargain. It sounds like you are in look, if the aroma is there then you have tobacco that is not dried out. The picture looks like there is still a sheen to the wrapper also. 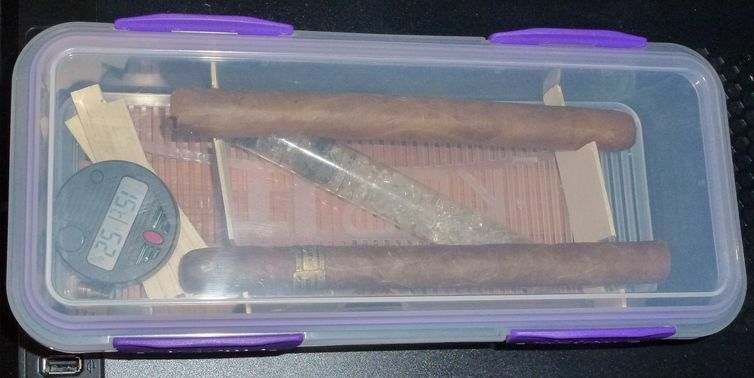 You may have been lucky as the cigars could have been stored in an area that was similar to a humidor. I'd say give the boveda pack 62 a good month maybe two, then move up to 64/65. Maybe have a squeeze and see how they feel compared ot your normal humidor stored sticks and 'feel' how much different they are? Slow and steady is always the way to go like you have already said anyway. Lucky you anyway, they look good! I agree with bundwallah. Slower is better. The only different thing I would do is put them in an airtight container with a hygrometer and no extra humidity to see what humidity level they are at now. Then start increasing the humidity level slowly. 50% might even be too much to start with unless you know where they're at now. Question: Is there no serial barcode for this box? 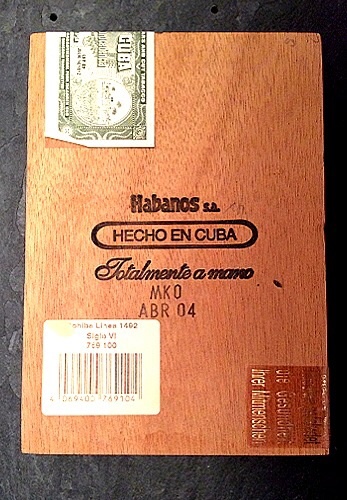 I thought after a certain year, all of the Habanos boxes had the barcode, w some Grey Market vendors scratching the numbers off? Box is from 2004 ! Tax seal is legit as well a the prize. Seal that you have n mind was brought into the market in 2009. Interests:Habanos, Mountain biking, Music, Beer and homebrewing, Microbrews. Most of all Family, friends and having fun! Nice find. Laguito code. Let us know how they smoke when you get them re humidified. More than a year later I got the balls to give them a try. Met with Nino on sunny Sunday (Motherday) on a golf course. As I had never a Sigo VI before it was for me very valuable to have Ninos opinion. Smell out of the box is great. 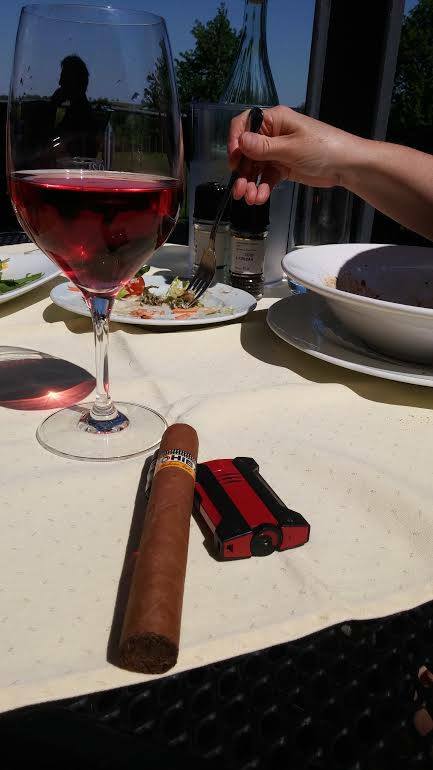 We both punch the Siglo VI. Draw was perfect. Nino had nearly no taste at his cold draw, mine was lovely. Reminds me of a sweet tasting meadow. Liked it. Okay time for taking the flame. 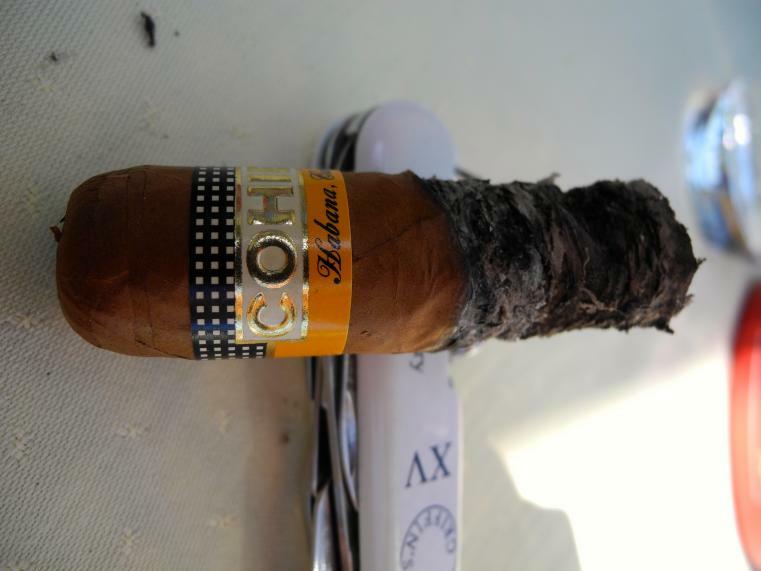 Cigar was very creamy, surprisingly mild and subtile. 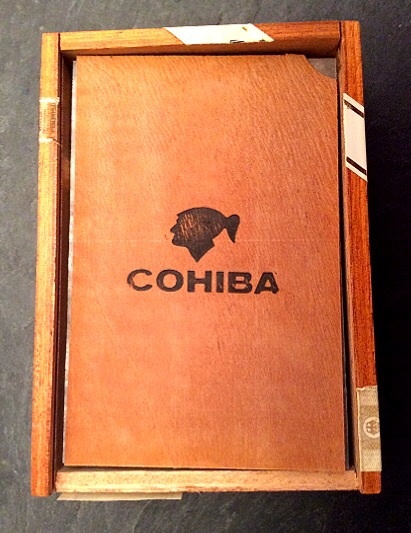 Had the grassy notes everybody is talking about when mentioning Cohiba. The could have been even, but it was very windy outside. Next time I would smoke inside instead of a outdoor smoke, it would be more beneficial for the pleasure. If anybody has the chance to put hands on that kind of experience -> than go for it!! Its worth it. Thank you for the experience Perla !! 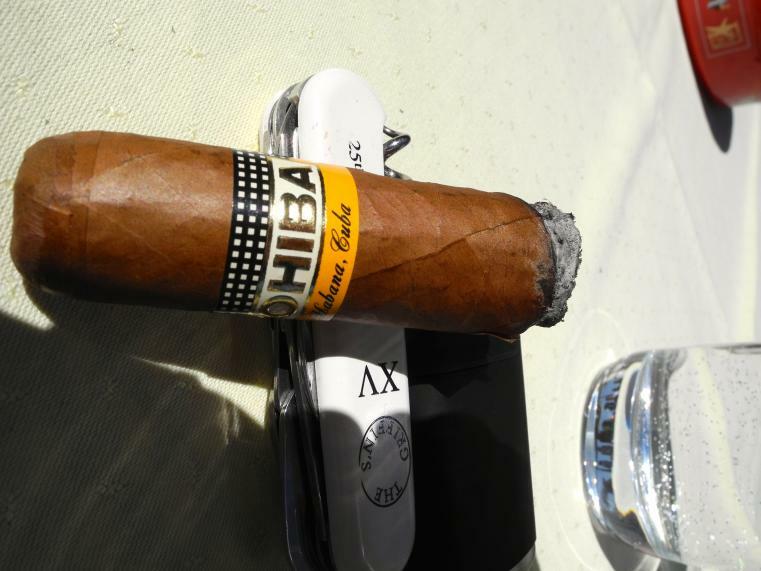 I truly enjoyed my Siglo VI, after a not very present cold draw it came over quite nicely and was extremely creamy and had the typical Cohiba grassiness and aromas. You have done a tremendous job at reviving the box and I am sure you will enjoy them a lot. The only issue we had was the strong wind smoking outside. I am quite sure they would have been perfect being smoked inside. Happy to see you again this Friday at the pharmacy !! Fantastic to hear that it worked out for you. 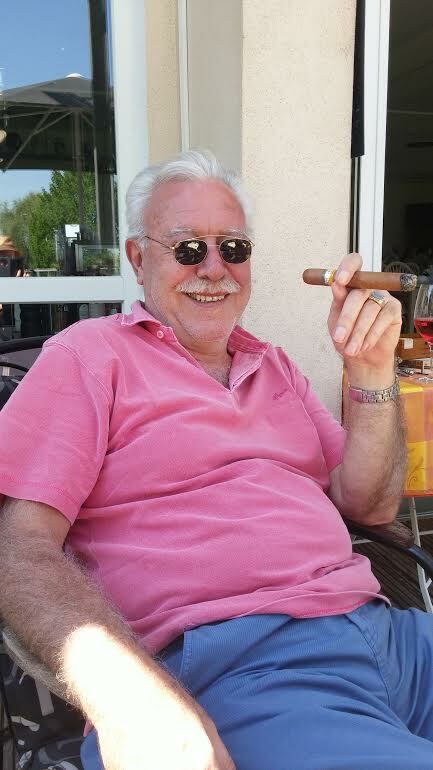 A litle bit of luck, a little bit of know how.....a lot of patience and voila...excellent cigar. Interests:Cigars, fast cars, heavy metal, NHL, NFL, NASCAR, slow-pitch, sports in general, rum, scotch, freaky and crazy women. Good things come to those who wait. Great story, thanks for sharing!